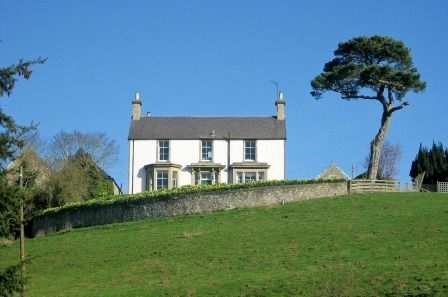 A traditional Borders farmhouse set amidst 3,000 acres of spectacular countryside on the edge of the Lammermuir Hills near Duns. 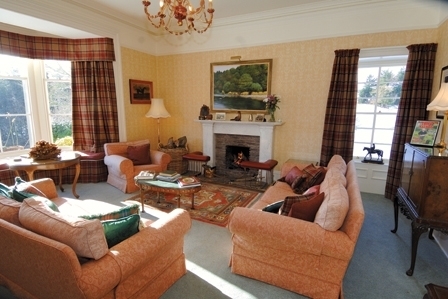 Superb, formal drawing room with magnificent views. Cosy sitting room with log burner, television with Sky and DVD player. Large dining room seating up to 18 guests. Ideal for special events. 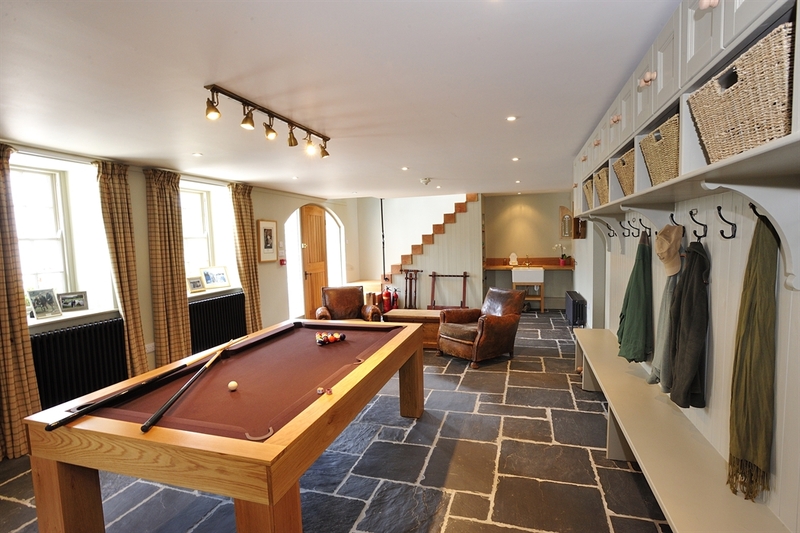 Games room with pool table and underfloor heating. Strong room for guns and ammunition. 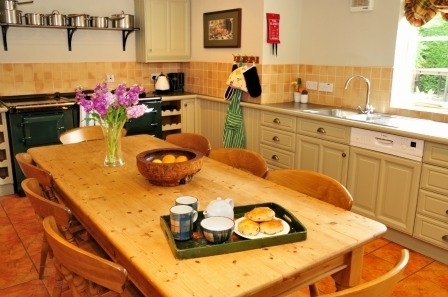 The large, farmhouse kitchen has dining space for eight guests. 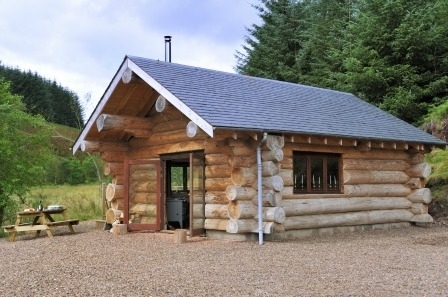 It is fully equipped with 5 oven Aga, dishwasher, refrigerator, fridge/freezer and plenty of storage space. A chest freezer is located in the garage/outbuilding. 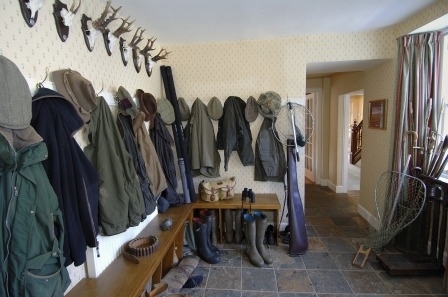 Utility / rod and boot room is accessed directly from the back door and ideal for storing and drying fishing kit and outdoor clothing. Equipped with washing machine. Bedroom one with super king size bed and Sky TV. 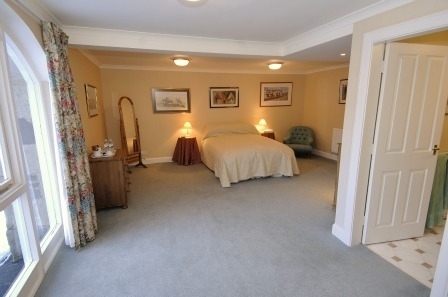 En-suite shower room and roll-top bath in the bedroom with fabulous views. Bedroom two with super king bed and Sky TV. En-suite bathroom with walk in shower and roll-top bath. Bedroom three with king size bed and Sky TV. En-suite bathroom with shower over the bath. Bedroom four with king size bed and Sky TV. 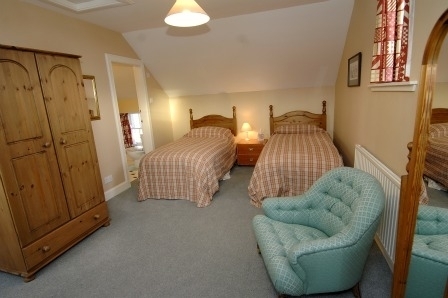 Bedroom five with zip and link beds which can be set up as a super king size or twin as preferred and Sky TV. Bedroom six with double bed and Sky TV. The annexe sits across the courtyard from the main house. Entrance with storage cupboard and hanging space. Bedroom seven with king size bed and Sky TV. Bedroom eight with king size bed and Sky TV. Bedroom nine with zip and link beds which can be set up as a super king bed or twin beds as preferred and Sky TV. To the front of the house is a large, lawned garden with seating area. There is a graveled area to the rear of the house with parking for at up to eight cars. The wider estate extends to some 3,000 acres. There is ample parking available in the courtyard. Dogs are welcome at Ellemford. There are both indoor and outdoor kennels for guest use. 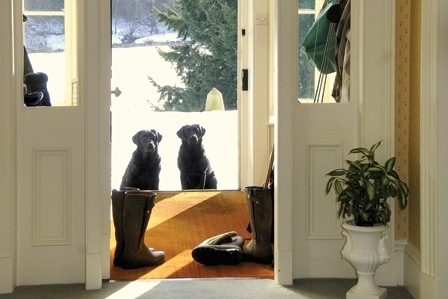 If dogs are in the house, we would ask that they are kept to the downstairs, uncarpeted areas. Dogs must be kept on a lead when walking on the estate between July and February. 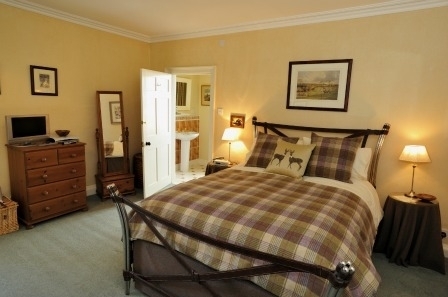 Bed linen and towels are included. A hairdryer is supplied in each bedroom. Wi-Fi is provided in the main house. Mobile phone reception at Ellemford is poor or non-existent on most networks so a landline is provided free of charge for reasonable use. Vodafone reception can sometimes be picked up on the front lawn. 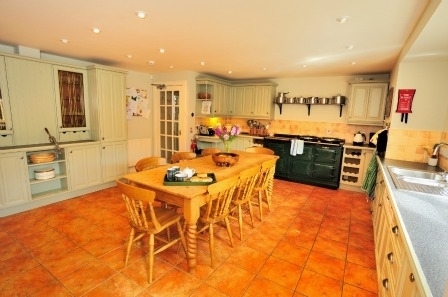 Ellemford Estate has oil central heating in addition to the log burner in the sitting room. Fishing on the Whiteadder is available through the property owners. 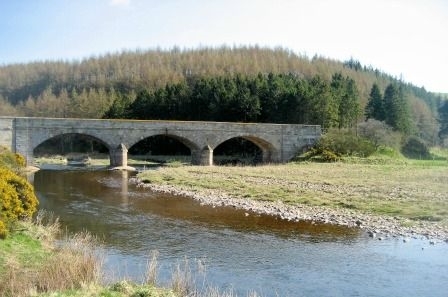 The Whiteadder runs through the heart of Ellemford Estates' meadows and wooded valleys at the foot of the Lammermuir hills. The river here is easily fished from the bank. 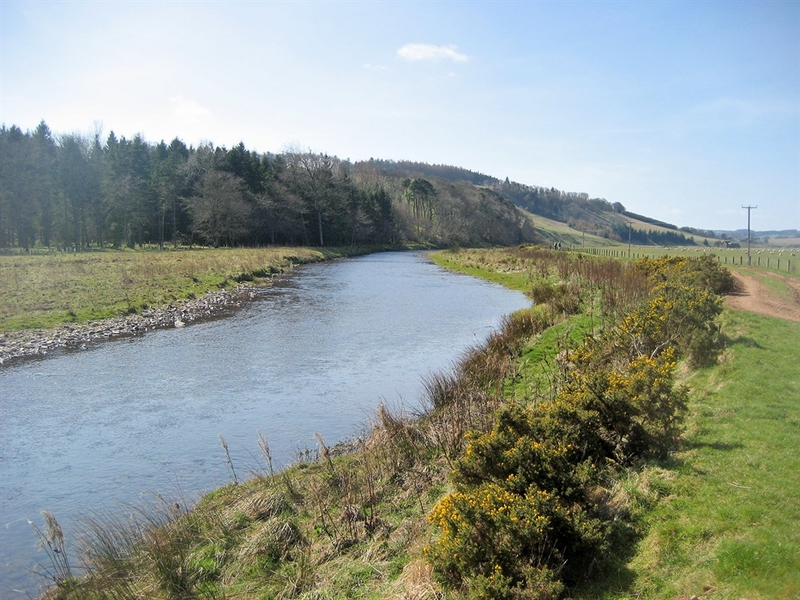 Due to its distance from the sea, salmon do not usually arrive in the upper reaches of the Whiteadder until September. Given the right conditions, the beat offers excellent sport in the back end. Please email us for more information.